It is extremely important that children attend school every day to enable them to make progress and achieve. Just one day’s absence can mean that children find it difficult to keep up with their learning for the rest of the week, or longer. 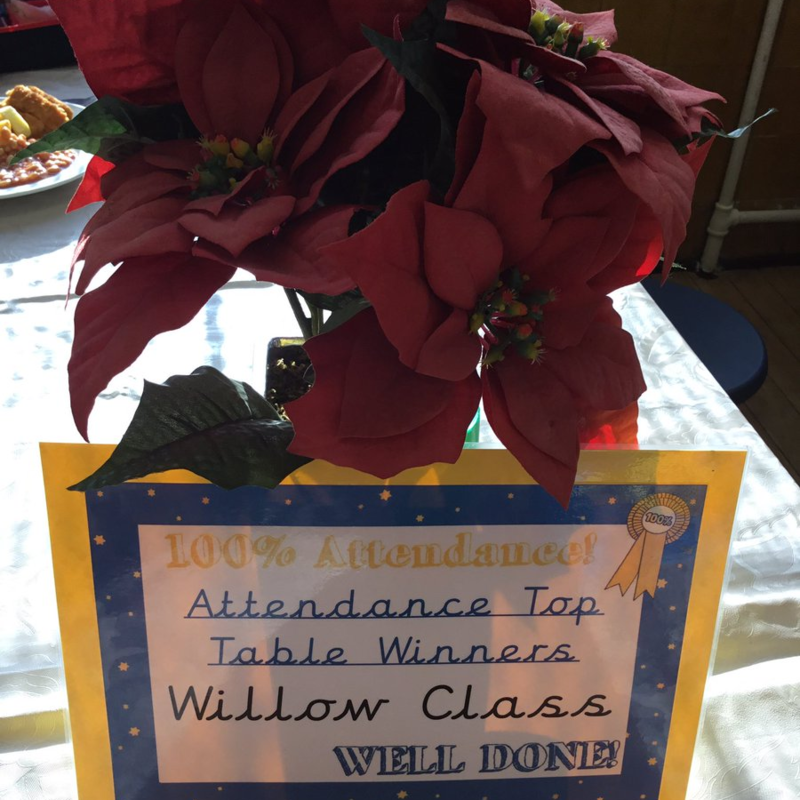 Our attendance target is 97% and we work extremely hard to ensure that we meet that target. 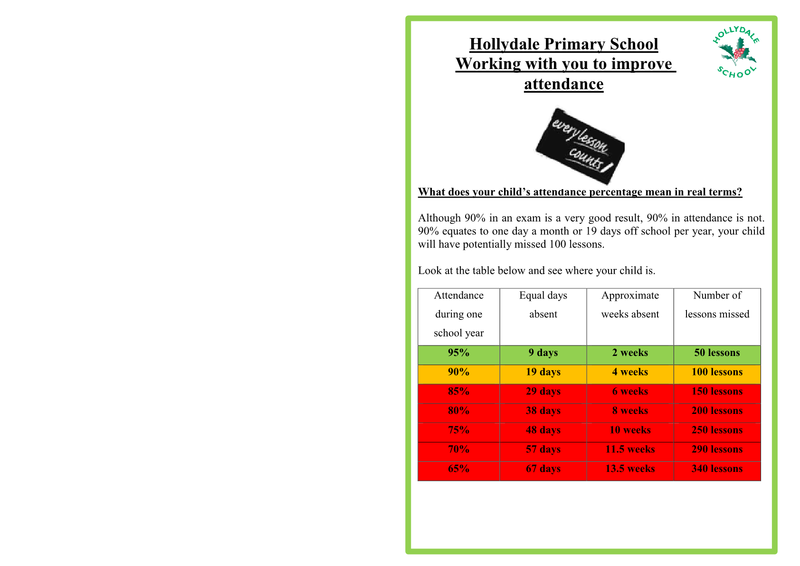 If a child is attending for less than 90% of the time, this is classed as persistent absence. This would mean that a child is missing on average, almost one day a week of his/her education. This will have a significant impact on their ability to achieve and often leads to anxiety about catching up. 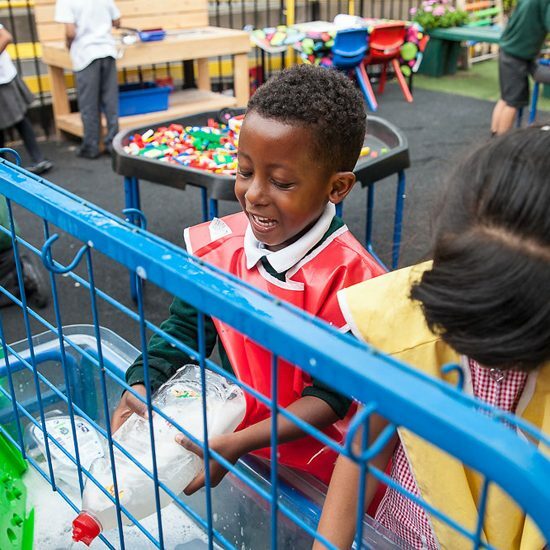 We also find that children who are frequently absent from school have difficulties with friendships and forming relationships with their peers. We work closely with families where children are persistently absent to try and support them to improve the child’s attendance. Our Education Welfare officer visits the school every week to monitor and support these families. 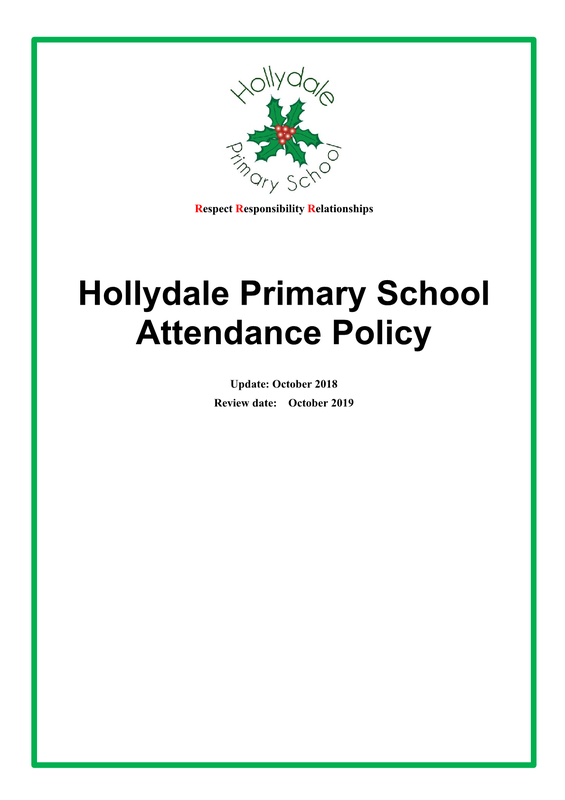 If absences are prolonged and without medical authorisation, parents or carers may face court proceedings. It shows they are reliable. What if my child is absent from school a lot? They miss lessons and important information. They WILL fall behind with their learning and their results will suffer. You could be fined a penalty notice, or worse, legal action could be taken. Holidays during term time are against the law! Taking unauthorised holidays could result in a penalty notice of £60 by the Local Authority. Is it really serious if your child is not in school? James has 90% attendance. Sounds good doesn’t it? Not being at school can seriously damage a child’s learning!